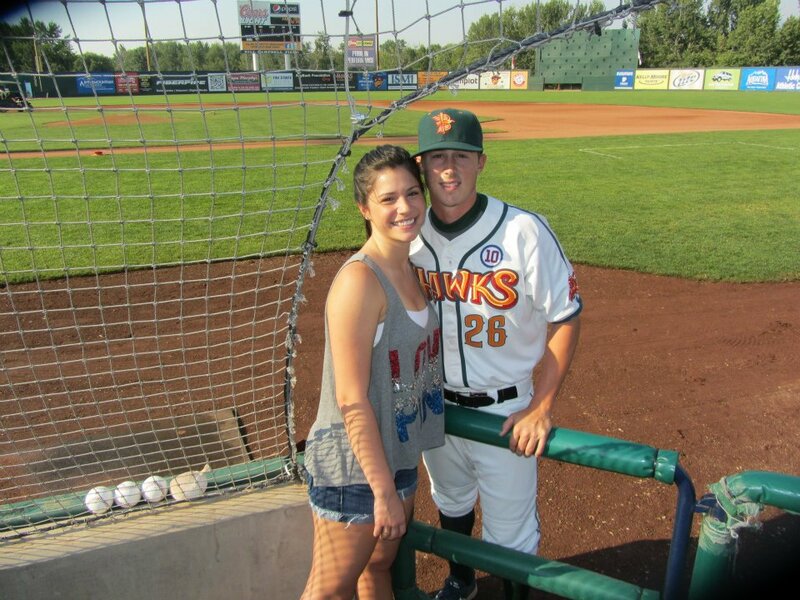 Hayden Simpson is a pitcher for YOUR Boise Hawks who also enjoys hunting, fishing, listening to music 24/7 and always has a Mountain Dew close by. He is from Arkansas where he lives with his mom, Tena, dad, Keith, and his younger brother Landon. Hayden also has a fiancé, Rianne, so ladies, keep your distance! Hayden’s story is quite interesting. It is not your typical “my dad played ball so I did too” kind of story. Hayden’s story begins with football, the love of his life at one point. Throwing football made Hayden’s arm a natural pitching talent. Originally a shortstop, he started to concentrate on pitching in his sophomore year of college. “I worked out a lot, Wes Johnson, who is now at Dallas Baptist, knew which workouts really worked for me.” Hayden never looked back after discovering what his arm could do.